Anton Orlin, MD, is an Assistant Professor of Ophthalmology at the Weill Cornell Medical College, Cornell University, in New York City. 1. You are a young retina doctor, yet you already serve a leadership role in retina. How can other young doctors similarly break into leadership? I was fortunate to have been surrounded by great leaders in the field of retina during my training at the Scheie Eye Institute and at Cornell, and having great mentors certainly helps open the door to opportunities. Patient care has always been a priority of mine. My father is a cornea specialist, and from a young age I wanted to emulate him. I realized the importance of being a competent clinician and surgeon and of providing good and compassionate care to patients. Staying active in the retina community is important and a good way to network; publishing, giving talks, or helping to organize meetings are all great ways to stay involved. 2. You have worked with the Vit-Buckle Society (VBS) for a number of years. What about that organization is so attractive? R.V. Paul Chan, MD, introduced me to the VBS when I was a first-year fellow, and their meetings have remained among my favorites ever since. Each VBS meeting is video-based and highly interactive and includes lively discussion. As the VBS mission statement says, it is a perfect way “for innovative vitreoretinal surgeons to share best practices, foster the development and use of novel surgical technologies and strategies for retinal diseases, and provide mentorship of emerging vitreoretinal surgeons.” The VBS founders are dedicated to these goals. They have also been known to throw an entertaining meeting—just ask anyone who has attended. VBS meetings are a great forum for young retina specialists. During the first night of the meeting, VBS hosts the Fellows’ Foray, a time devoted to fellows’ surgical case presentations that I have helped organize over the past few meetings. It is exciting to see how much the VBS has grown: Last year, we received around 30 case submissions for the Fellows’ Foray. 3. What products in the pipeline (eg, drugs, devices, surgical techniques) excite you most? 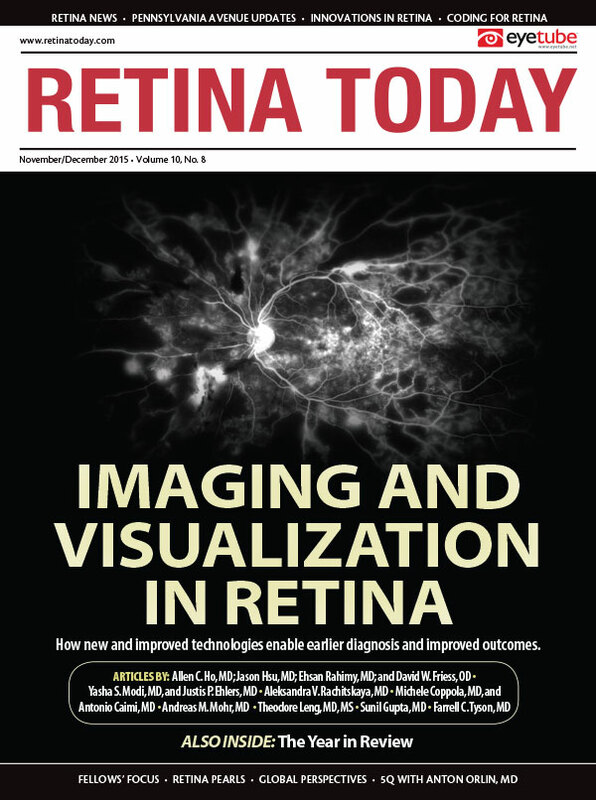 The field of retina is advancing rapidly, and it is an exciting time to be part of it. We are now able to treat many blinding conditions that until recently were untreatable. Patients commonly ask whether new and improved treatments are on the way, and we can all honestly answer affirmatively. I am particularly excited to see what lies ahead for the next generation of age-related macular degeneration treatment, sustained-release drug delivery systems, retinal prostheses, and gene therapy in retina. 4. How do you decide which meetings to attend? I enjoy going to the more interactive and clinically or surgically oriented meetings such as the VBS meeting. I am excited to go to Club Vit for the first time next year. The annual American Academy of Ophthalmology meeting is also a great meeting, as it is a good place to catch up with friends and mentors. I think the first question my future father-in-law asked me was, “Do you ski?” So, of course, my fiancée and I have been going to the Aspen Retinal Detachment Society meeting for the past few years, which also happens to be an excellent and very interactive meeting. 5. To answer this question, pretend you just graduated kindergarten: What do you want to be when you grow up?